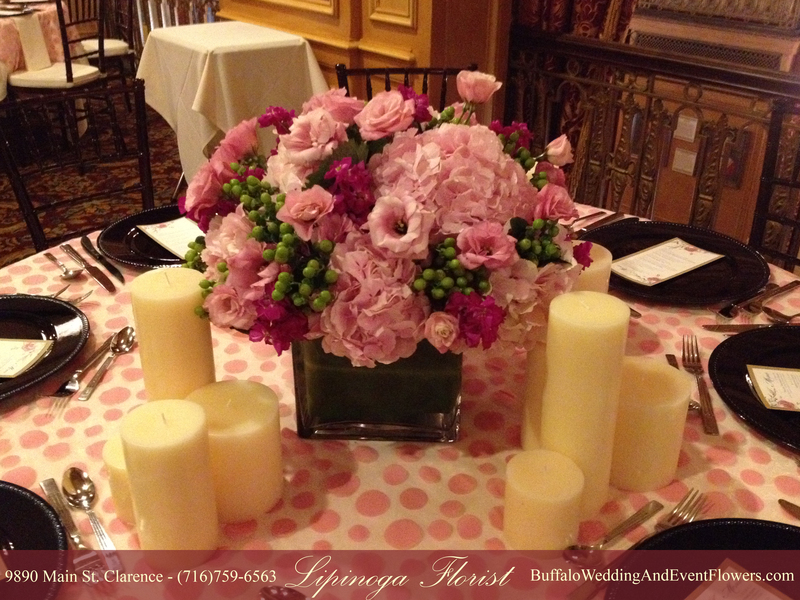 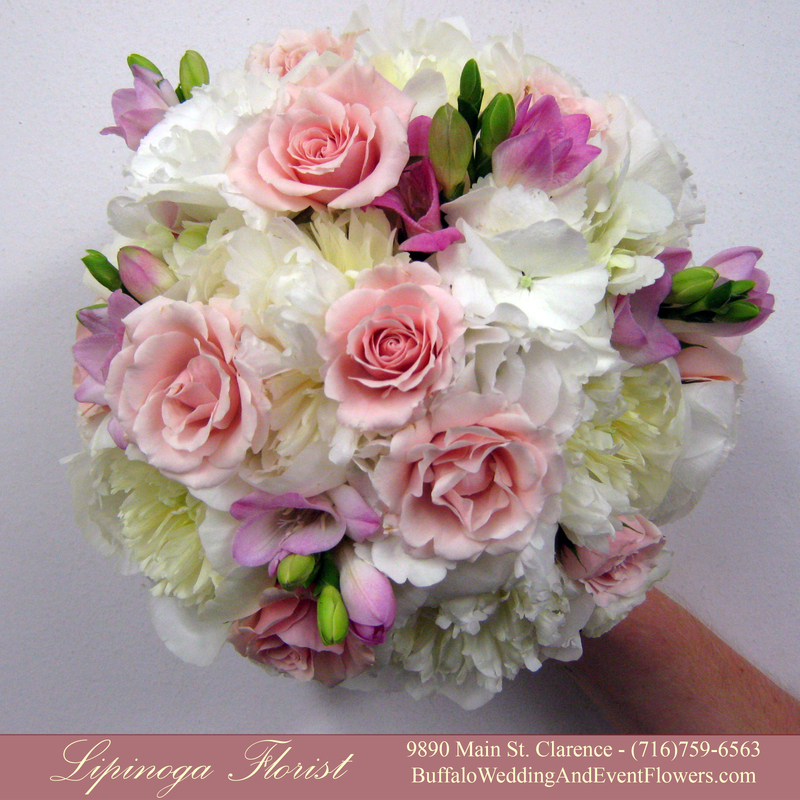 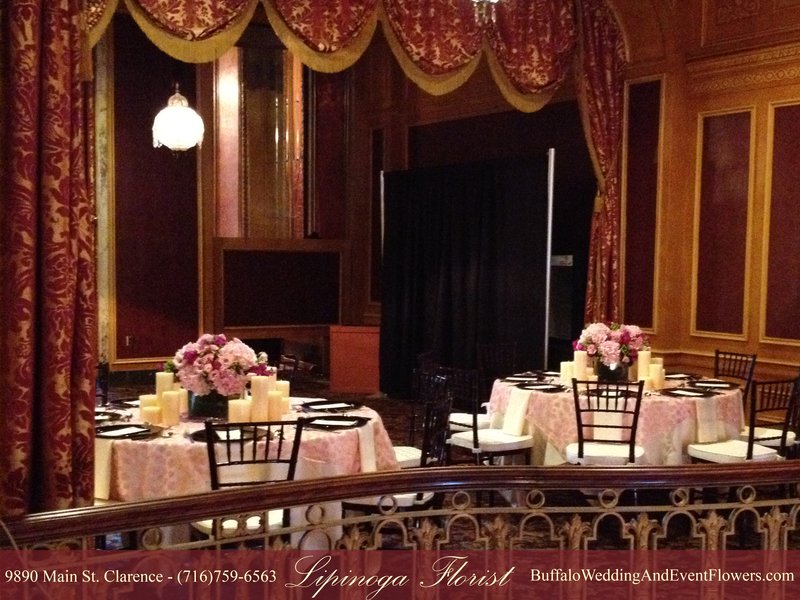 A vintage theme in lavender and white was designed specially by Lipinoga Florist for this couple’s wedding which was held at Kotecki’s Grandview Grove in West Seneca, NY. 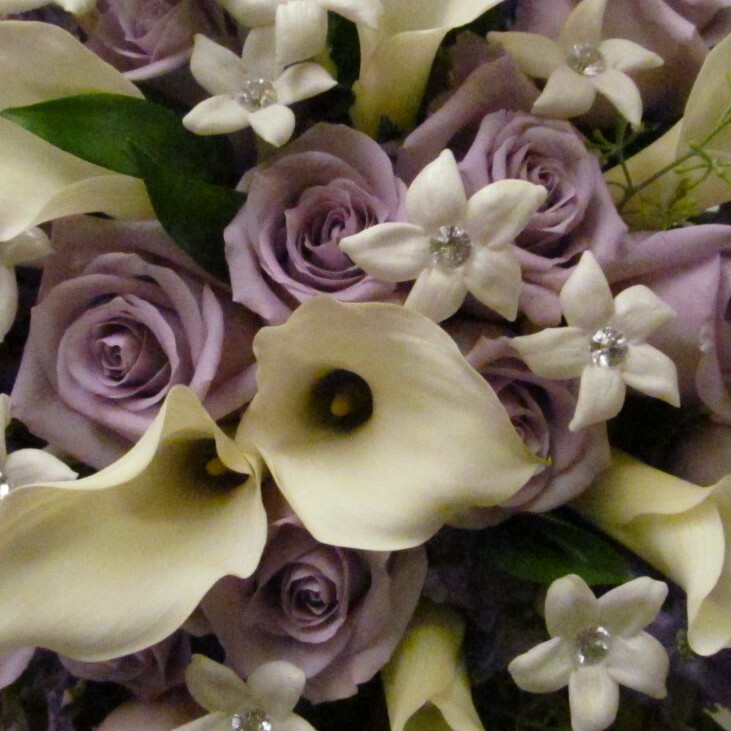 The bride carried an elegant cascade of mini calla lilies, lavender roses, lavender larkspur, stephanotis with crystal centers and accents of soft greenery. 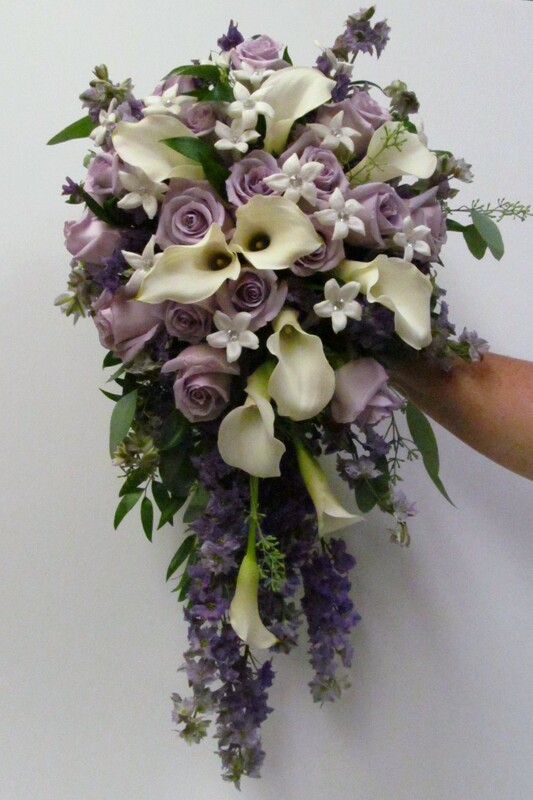 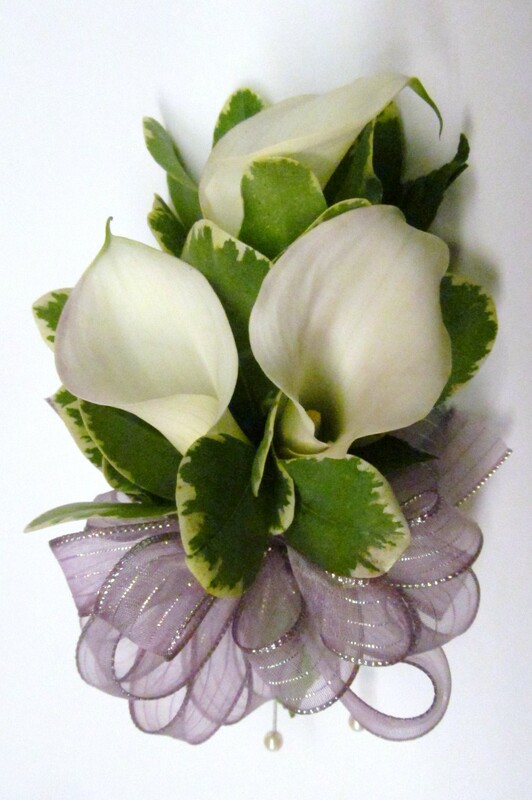 The mothers wore corsages of miniature calla lilies with an iridescent lavender sheer bow. 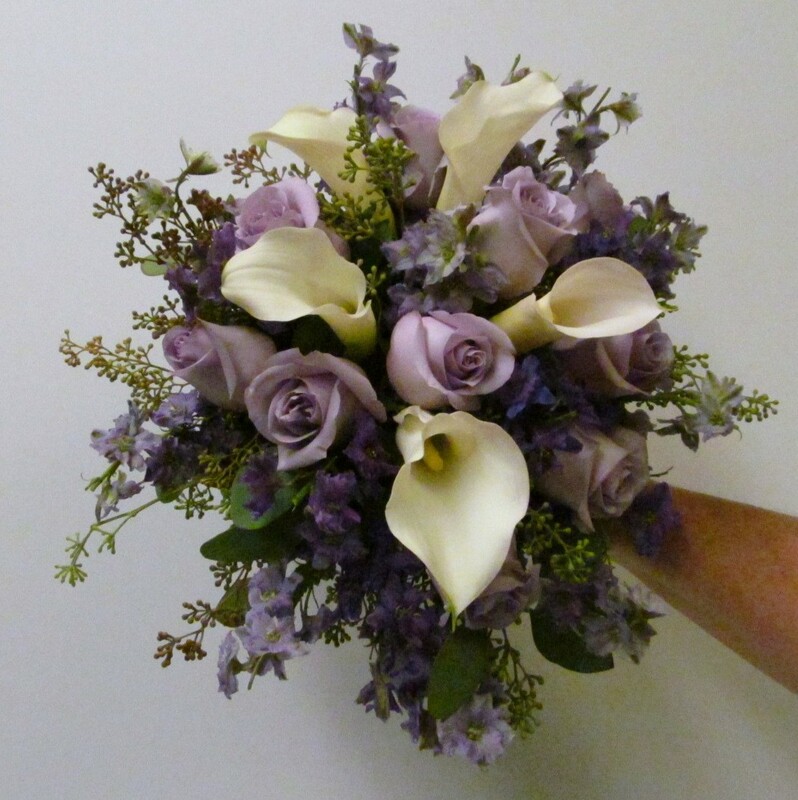 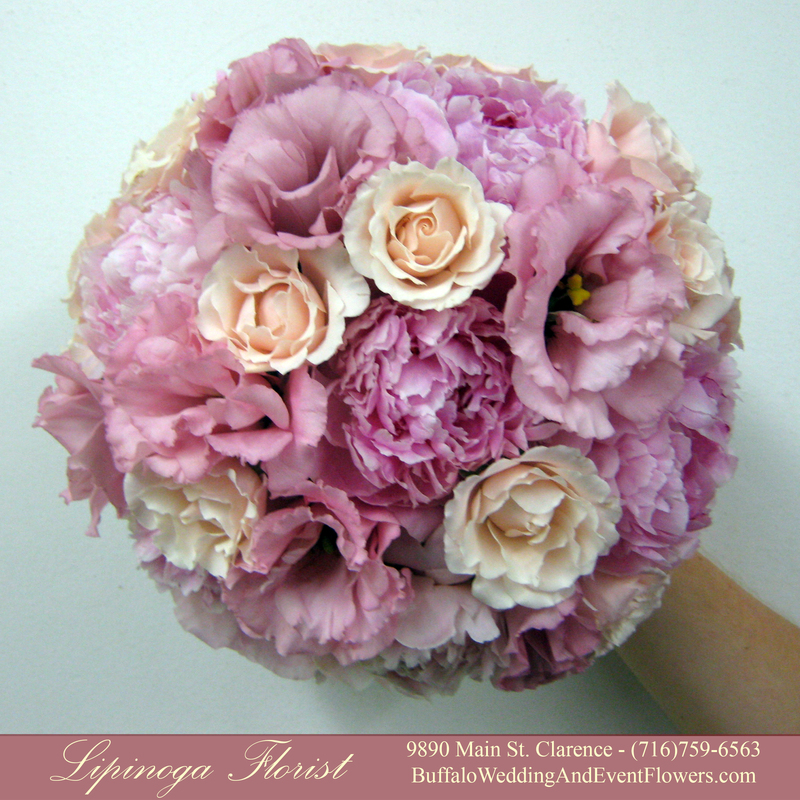 The bridesmaids carried a simple version of the bridal bouquet. 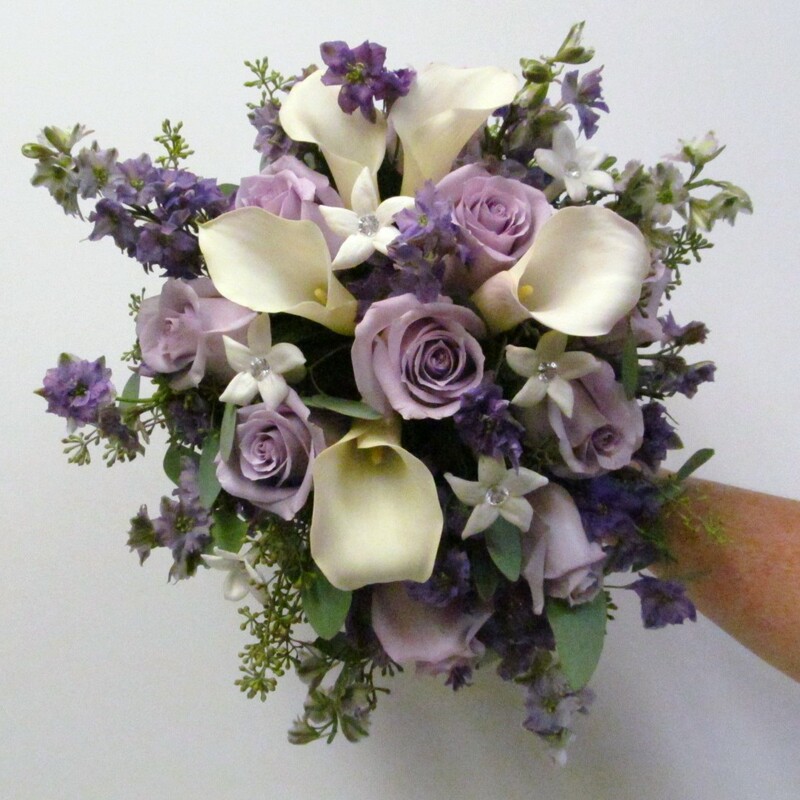 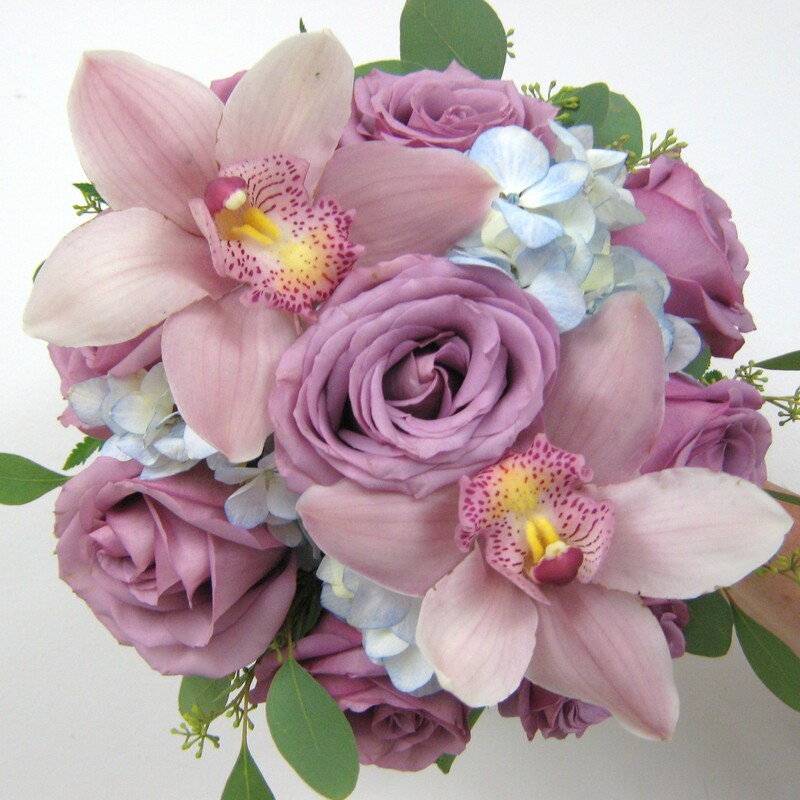 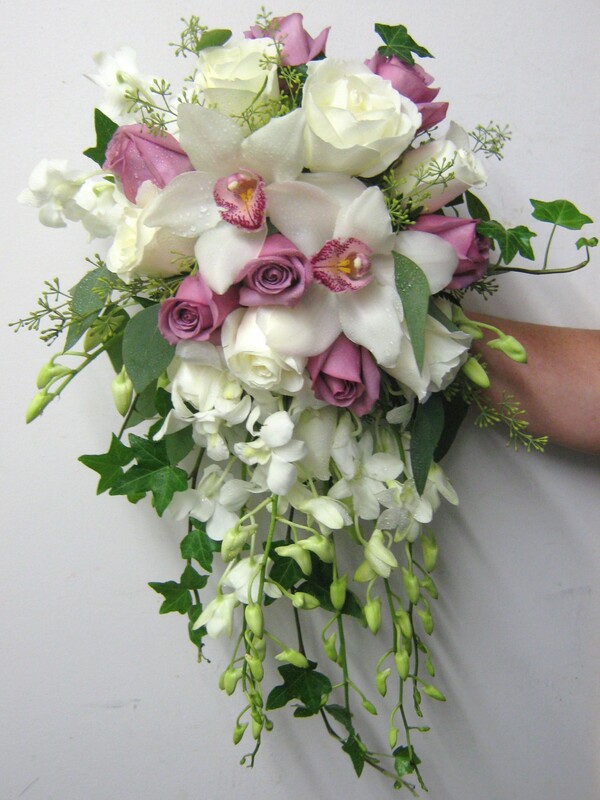 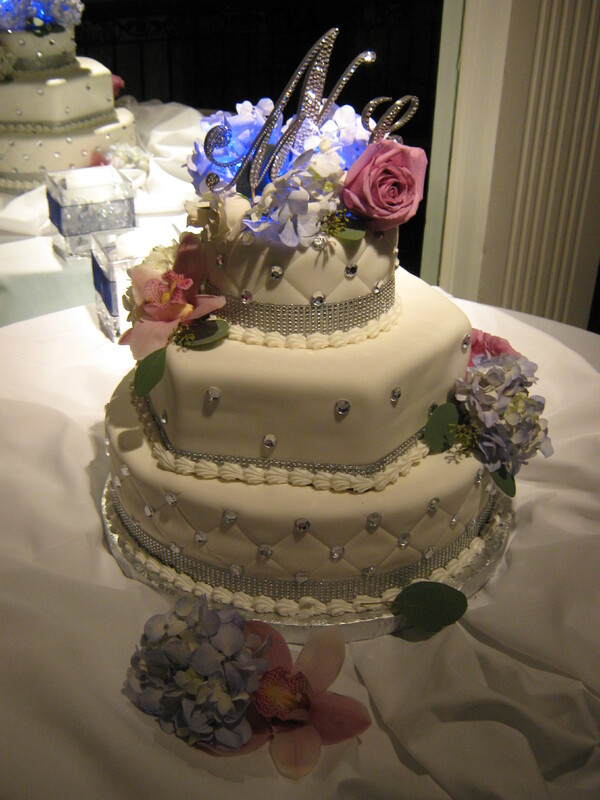 The maid of honor carried a bouquet with crystal centered stephanotis added to differentiate her from the bridesmaids and complement the bride. 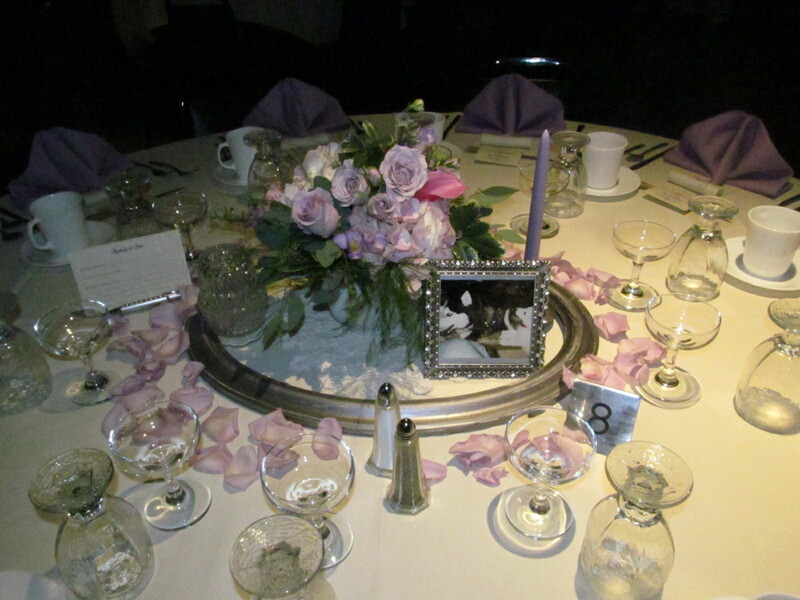 The bride created a vintage theme at the reception and included centerpieces in lavender hues on the tables among a ensemble of decorative accents. 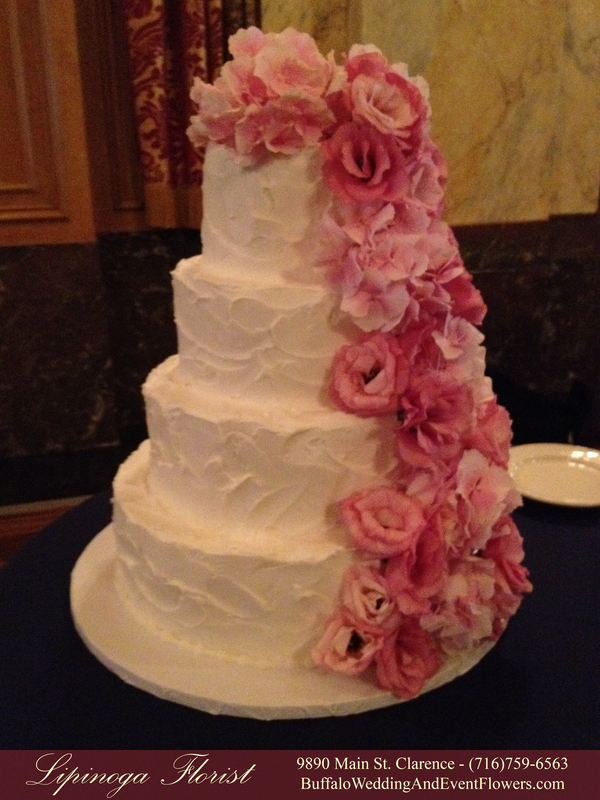 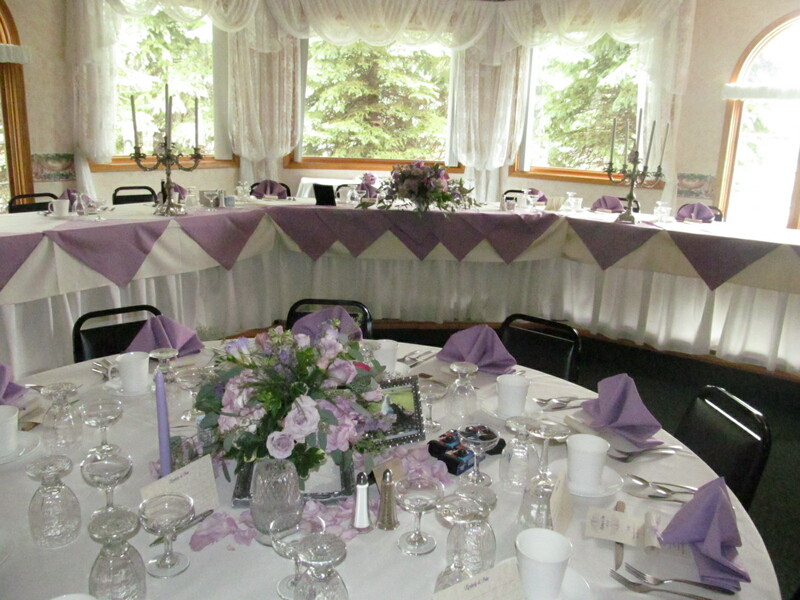 The head table centerpiece was made in a milk glass pedestal bowl and included draping greenery and lavender flowers. 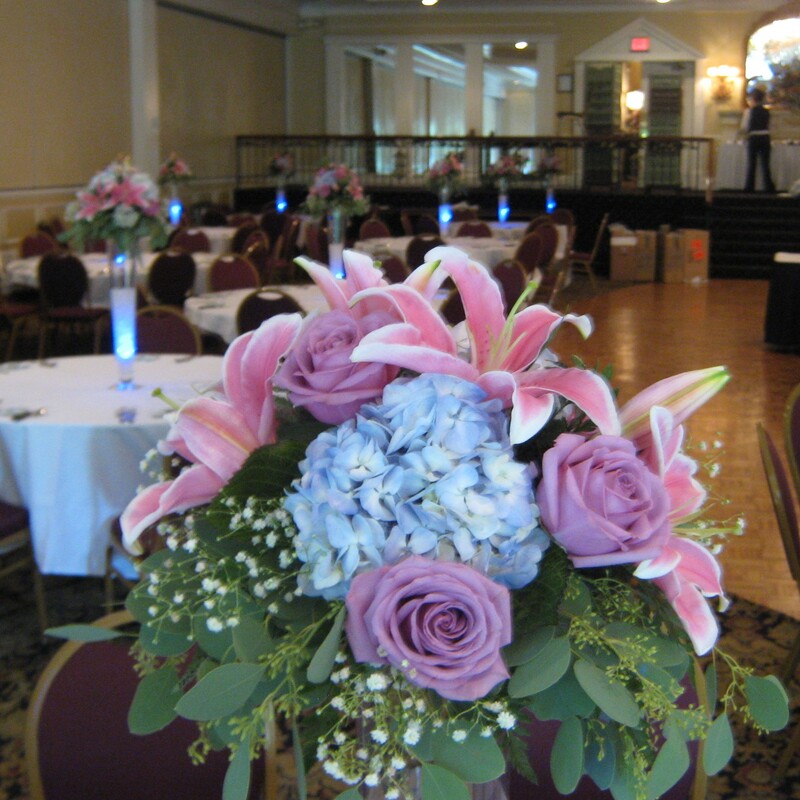 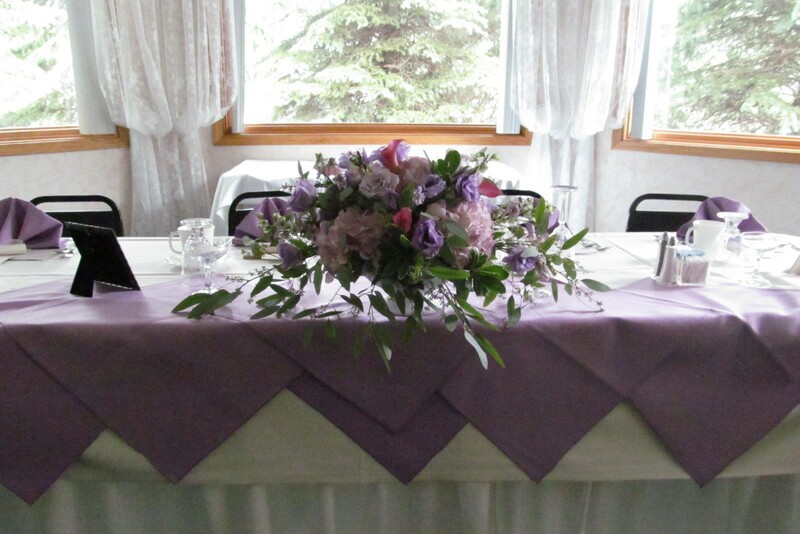 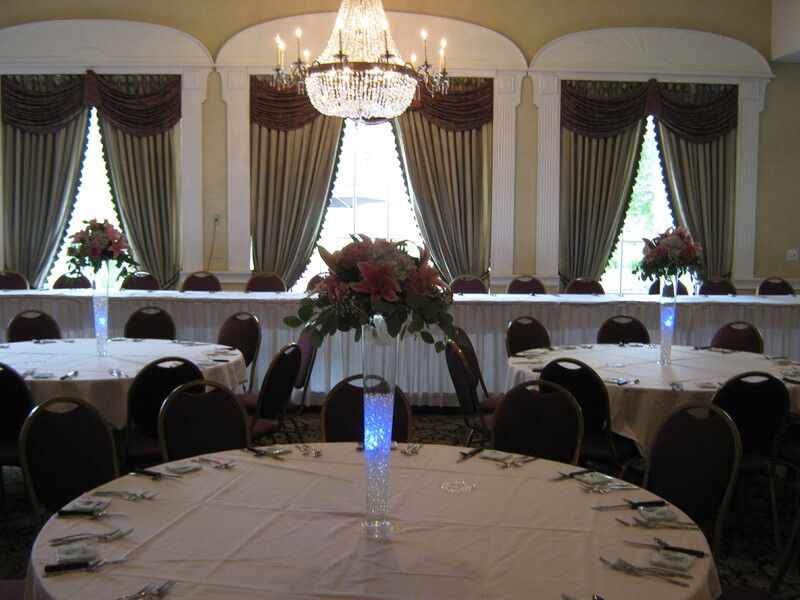 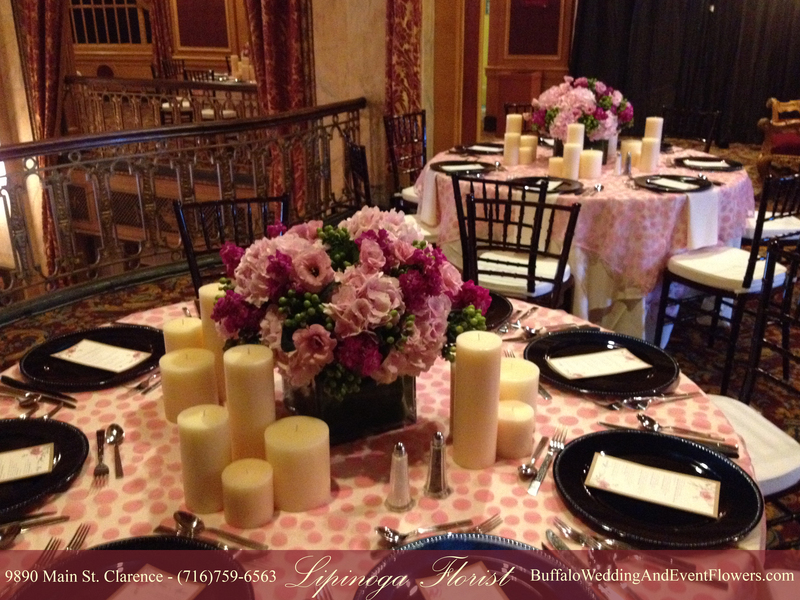 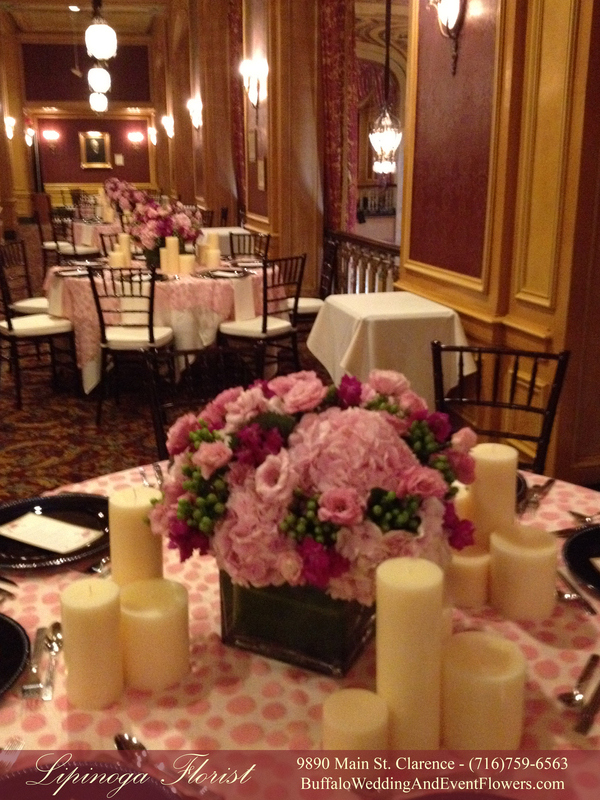 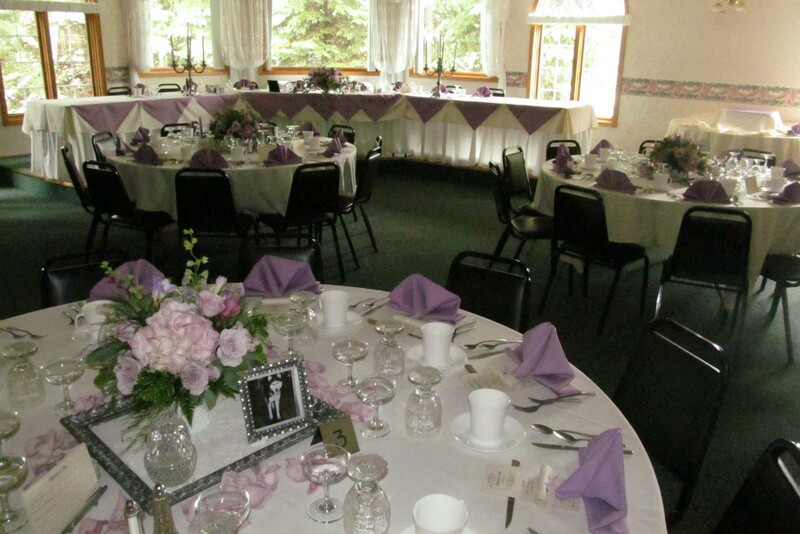 Kotecki’s used lavender napkins on the tables to accent the flowers and create additional ambiance. 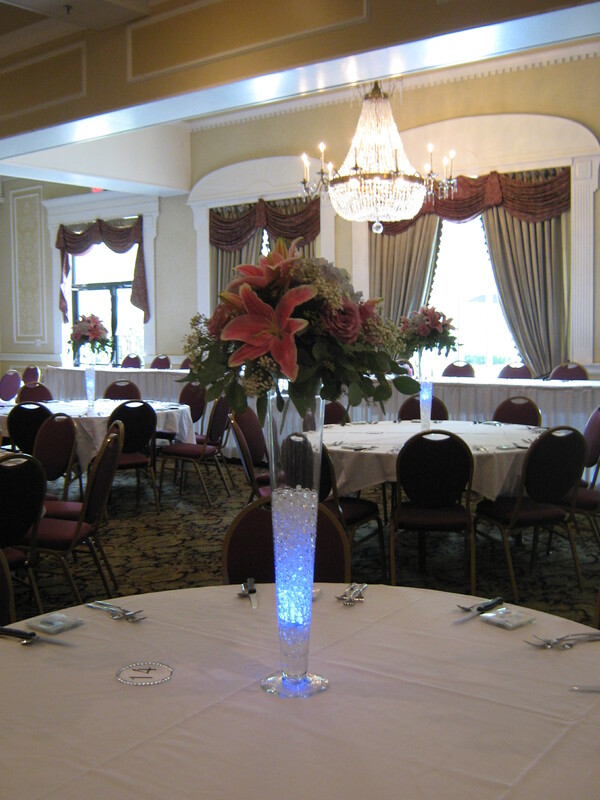 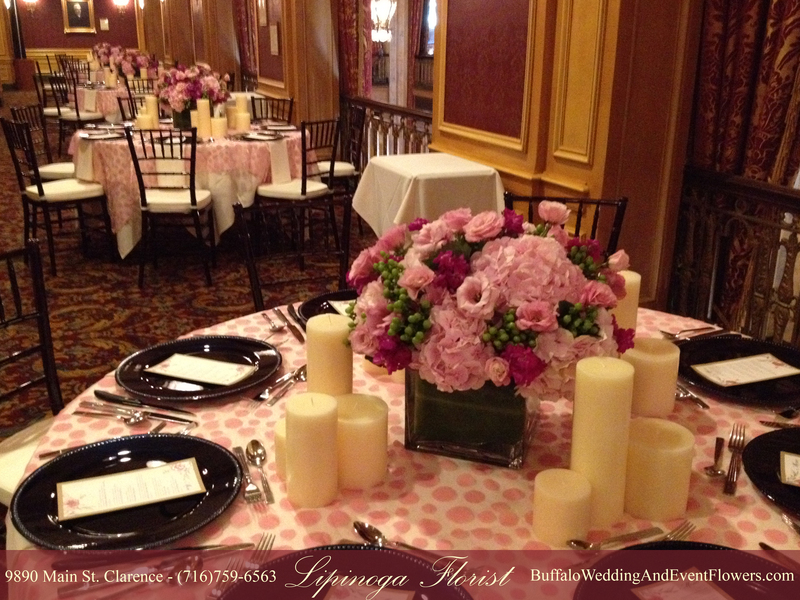 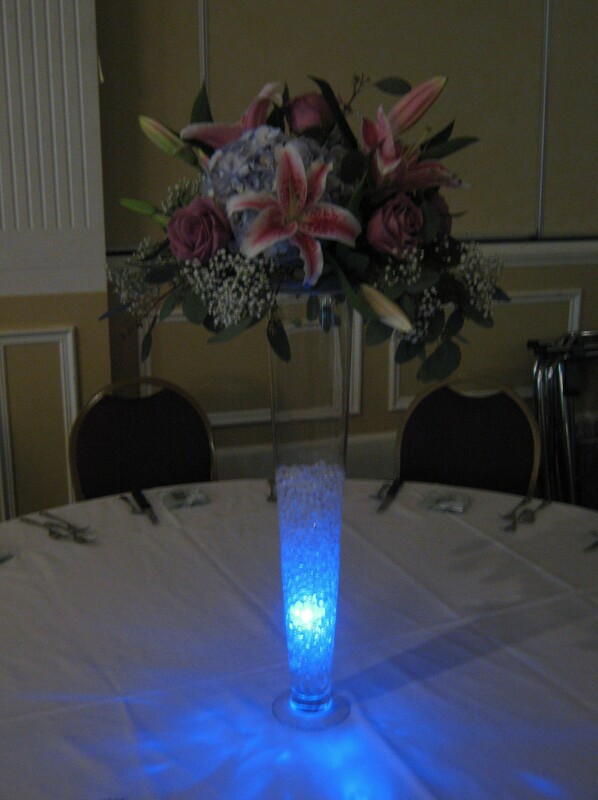 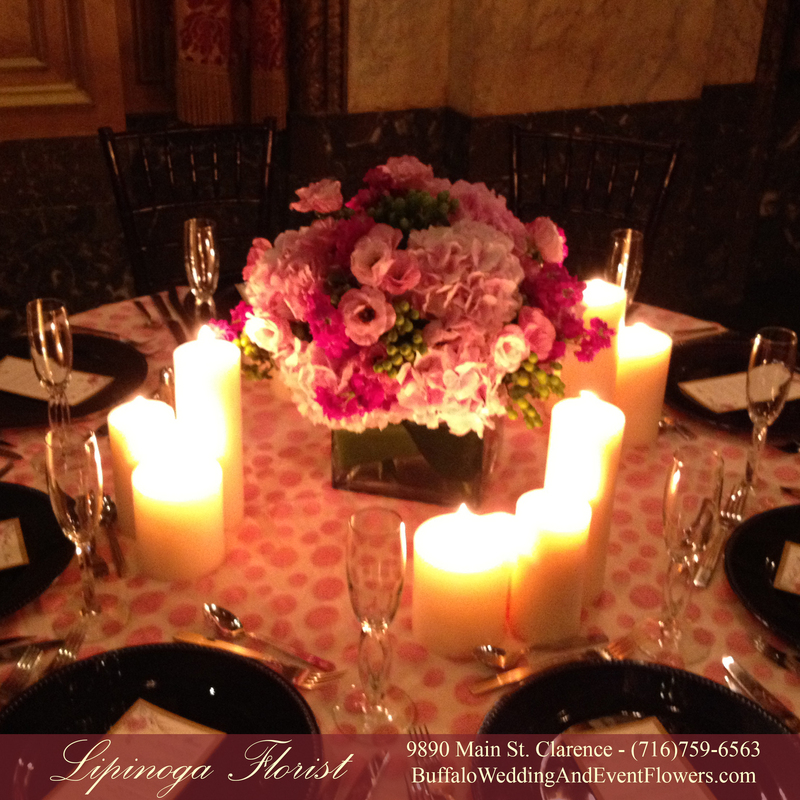 Each table centerpiece was made in a vintage milk glass container. 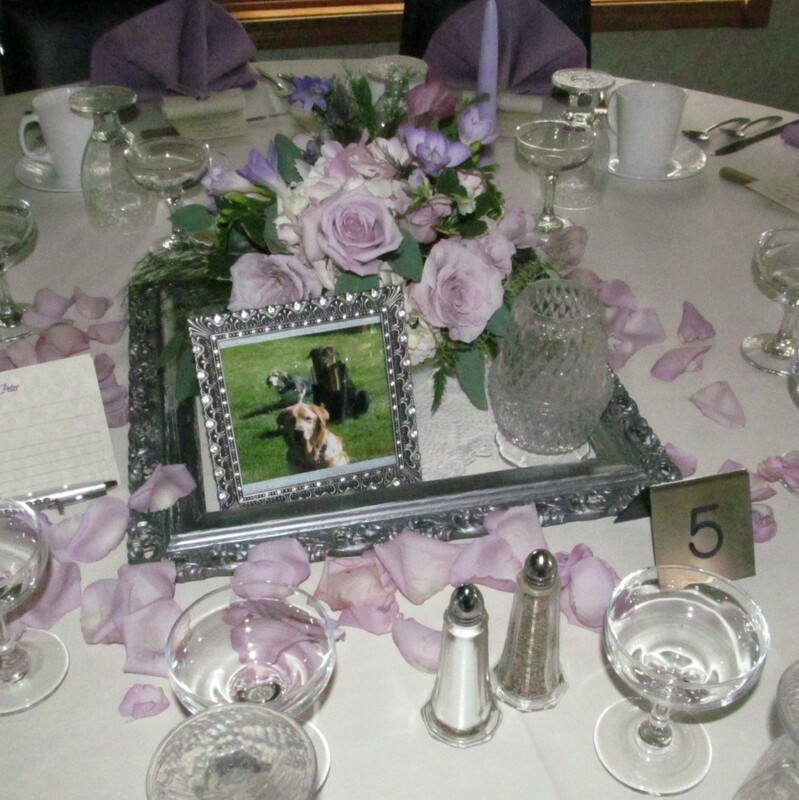 To create a personal touch for the reception centerpieces the couple chose to surround the flowers by photos, candles and rose petals inside a picture frame.